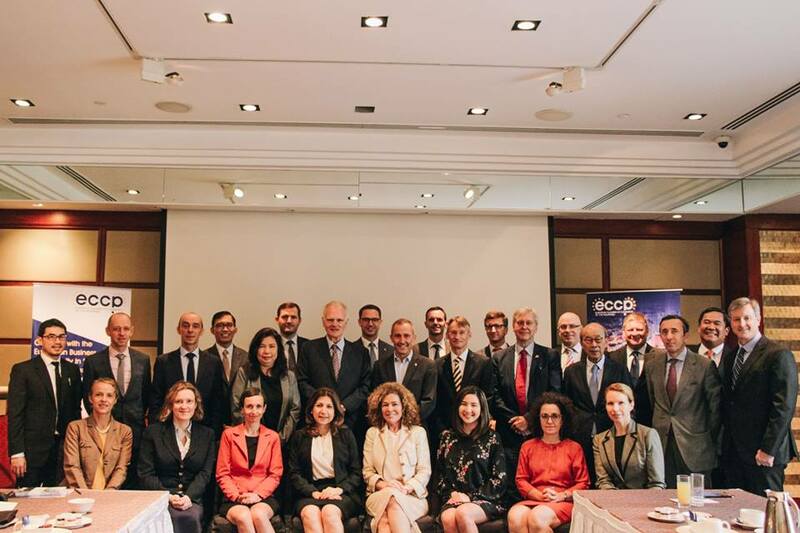 The EU Ambassador’s Meeting 2019 held on January 29 at the Makati Shangri-La tackled recent developments in Philippine economic performance and also outlined the challenges and efforts required to improve and enhance Europe-Philippine business relations. In a meeting consisting of heads of missions and official representatives from European bilateral embassies, as well as the EU Delegation to the Philippines, EU Ambassador Franz Jessen, ECCP President Nabil Francis, EU-ASEAN Business Council Executive Director Chris Humphrey, and ING country manager Hans Sicat gave speeches that would set the stage for future discourse on European-Philippine business. With GDP growth above 6% and inflation expected to normalize, the Philippines is expected to grow even more this year as the latter is expected to drive consumption upwards. However, a challenging H1 2019 will first be brought on by global external factors and a budget waiting to be passed, Sicat added. Sicat also brought into question the ambitious Build Build Build program and the funds necessary to accomplish it. He cited that in order to achieve this Golden age of Infrastructure, the bulk of borrowing would be in Philippine Pesos (PHP) to mitigate any foreign exchange risks. ECCP President Nabil Francis discussed the Business Outlook and ECCP 2019 Agenda. Despite many uncertainties in the global market along with the US-China trade war, the Philippine economy is in a good spot with proper fundamentals in place for further economic growth. “We are still, however, lagging behind peers when it comes to FDI”, Francis said. Francis added that positive reforms in 2018 are looking to improve European business confidence in the Philippines but more must be done in improving market access and ease of doing business. For this reason, ECCP’s advocacies and recommendations involve the speedy and proper implementation of the Ease of Doing Business Act; amendments to the Foreign Investment Act; PCAB licensing for fully foreign-owned contracts; amendments to the Public Services Act; and Retail Trade Liberalization. Francis concluded by reiterating the ECCP’s commitment to advocate for a level playing field in business and for further investment and trade facilitation. This is reflects in its line up of activities for the year ahead. “We remain cautiously optimistic since the country has a huge potential to develop”, said Francis. Giving an outsider’s perspective on the Philippines and the ASEAN, ASEAN Business Advisory Council Executive Directory Chris Humphrey stressed how the Philippines is “punching below its weight” compared to its neighbors. “The Philippines needs to do more to promote itself externally”, Humphrey added. He went on to share four key areas that must be improved upon in order to secure future prosperity: education, finance, interconnectivity, and technology, also known as EFIT.